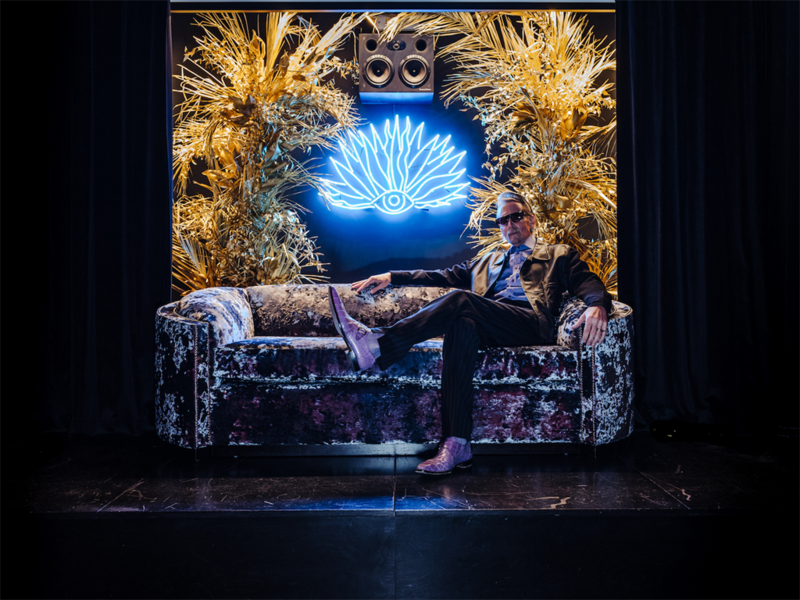 INSIDER recently caught up with the "High Priest of Hollywood tattoo artists," Mark Mahoney, during his residency at The Mandrake Hotel in London. The artist, who's favoured by the likes of David Beckham and Johnny Depp, told us you should check a parlour's bathroom before getting a tattoo there. "That's probably a pretty good gauge of what's going on elsewhere," he said. 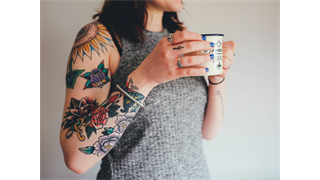 Whether you're getting your first tattoo or you're covered in ink from head to toe, it's important to make sure the parlour you're visiting is clean and hygienic. INSIDER recently caught up with Mark Mahoney - the "High Priest of Hollywood tattoo artists" - who told us David Beckham feels "absolutely no pain" and gave us his advice on all things body art. Mahoney started out tattooing biker gangs in his native Massachusetts and now counts the likes of Beckham and Johnny Depp among his close friends. He's even been cast as the muse in Lana Del Ray's music videos. The artist recently completed a residency at The Mandrake Hotel in London's West End. 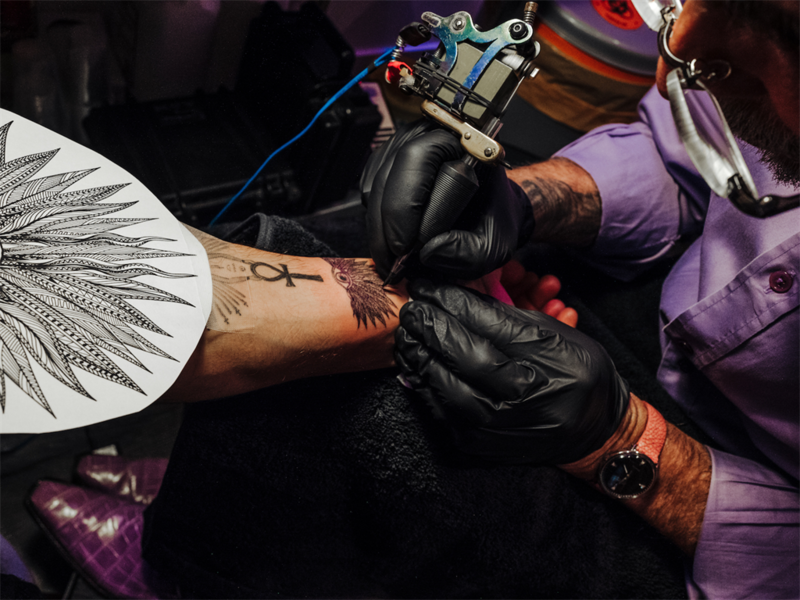 INSIDER spoke to him during his residency, and he told us there was one key thing to look out for when visiting a tattoo parlour. Mark Mahoney at The Mandrake Hotel. He said people who came to his parlour on Hollywood's Sunset Boulevard, Shamrock Social Club, always spoke about how clean their toilet was. "I guess that's probably a pretty good gauge of what's going on elsewhere," he said. So there you have it. Make sure to head straight to the bathroom before you sit in the artist's chair - it might just save you a trip to the doctor's down the line. The importance of getting your tattoo at a reputable establishment is hard to overstate. Last year, a man from Texas died from septic shock after swimming with a new tattoo. 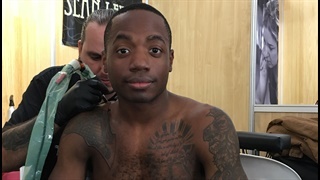 "If you choose to get a tattoo, do it safely, do it through a licensed place, and make sure you take care of the wound and treat it like any other wound," Nicholas Hendren, an internal medicine resident at University of Texas Southwestern Medical Center, told CNN at the time. "That's important."